Jennie teaches weekly Sea Change Yoga trauma-informed classes at the Portland Recovery Community Center (PRCC), a safe haven for people in recovery from substance use disorder, and a home for meetings and activities devoted to recovery. Jennie is a quirky, loving, artist, activist, healer, business owner, woman in recovery from addiction, and mainer through and through. Jennie possesses a fierce dedication to the principles and practice of yoga and meditation. The first time she ever practiced yoga was over 15 years ago. She utilizes the practice as means to ground in the present, to soothe her fiery soul, and as a tool in her own recovery. Beyond the physical practice, she is learning to embody yoga’s philosophies and values and move closer to her ultimate goal- to live yoga. Jennie uses Ayurvedic and yogic methods such as posture, mindful adjustment, breath work and meditation to create targeted classes and sessions that address individual and group needs- physical, energetic, and psychosomatic. She aims to empower her students to participate in their own healing process by teaching practical tools that can be used on and off the mat and always teaches with sensitivity to trauma in mind. 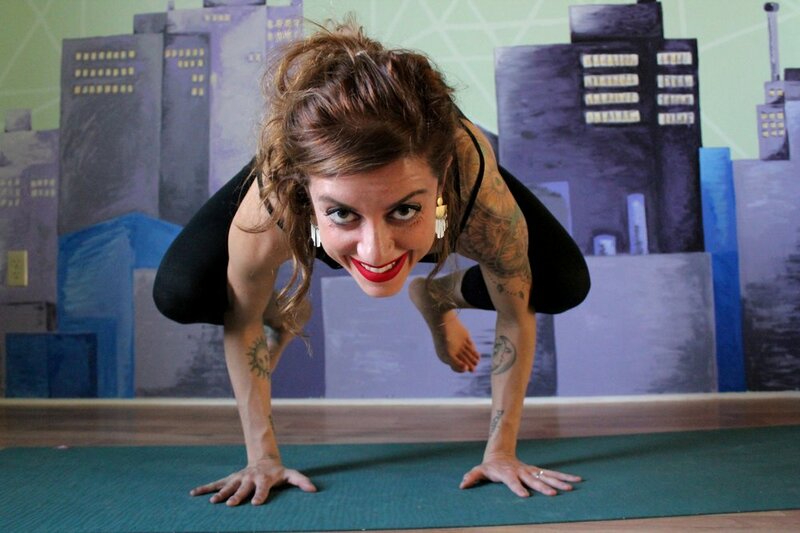 In 2011, Jennie began teaching yoga and has since acquired over 2,000 hours of teaching experience. She has over 400 hours of training in Kripalu Yoga, Rasamaya Yoga, vinyasa yoga, yin yoga, yoga nidra, dynamic anatomy, barre, HIIT, pilates, meditation, reiki, yoga for addiction recovery, 12 step yoga, trauma informed yoga, and yoga for healthy body image. She graduated from USM with a Bachelors in Psychology and Holistic Health. Her newest passion is training other yogis and yoginis to teach yoga. For Seachange, she currently teaches a free weekly yoga class at the Portland Recovery Community Center. We invite you to join Jennie in a spiritual and somatic journey of comfortable embodiment, strength building, radical self acceptance, and healing.